I’d like to know all of the other all views available to me. I’d like to know all of my options when dealing with replication. 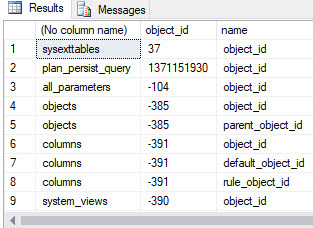 I’d like to know all of the system views that refer back to objects. You can see with a little extra work you can get a solid idea of what’s available. In fact, add that to sys.all_sql_modules and you can seven get an idea of how something is working. A couple of notes: You are going to see both documented and undocumented objects this way. Before you use anything go to BOL to find out which it is, and not incidentally see exactly what it does. And last but not least every now and again you are going to see commands and ways of doing things you haven’t seen before. Bonus! New knowledge! Of course, be warned that occasionally you’ll see commands that we don’t actually have access to.